We provide a range of financial advice and financial planning services to our clients. Our Financial Advisers help clients make a better future for themselves and their family. Our chartered financial advisers and planners, with offices in London & Ipswich, will work with you to help with any financial planning issues you may have whether you run a business, are a high paid individual, or are retired. Swallow Financial Planning have been helping clients achieve their objectives for over 20 years. A chartered financial planner provides bespoke financial advice and guidance tailored to your individual circumstances and requirements. 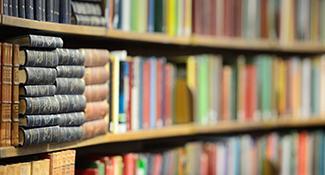 Swallow Financial Planning has an unrivalled library containing up-to-date information on a wide variety of current financial topics. Click the image above to access the library for more information. Swallow Financial Planning was founded over 20 years ago. The firm was established on the belief that the only way we could be truly independent, was to work on a time based fee basis, in the same way as accountants and solicitors. This approach was very unusual when we started out (and remains so today), but it has held us in good stead as discerning client’s recognise the true value of genuinely independent financial advice.